Brushing twice a day is critical to keep children’s teeth healthy. If kids don’t brush enough, pieces of food can get stuck inside crevices in teeth and between them and lead to cavities. The earlier you start cleaning your child’s mouth, the easier it will be for him or her to get used to it. Wipe your baby’s gums with a damp cloth and start brushing with a soft-bristled toothbrush as soon as the first tooth erupts. Use plain water, not toothpaste. Young kids tend to swallow toothpaste because they can’t spit it out. This can cause them to consume too much fluoride and can lead to a condition called fluorosis that can cause stains on teeth. Children should begin using fluoride toothpaste when they are old enough to spit (around 2-3 years old). Use a small smear of toothpaste at first and a little more when your child is older. Ask your pediatric dentist for recommendations on which toothpaste to use and how much. Little kids may want to brush their own teeth, but they simply don’t have the coordination necessary to do a good job. Let your child try so he or she can get used to handling a toothbrush and establish a routine, but always thoroughly brush your child’s teeth yourself until he or she is able to do it alone. 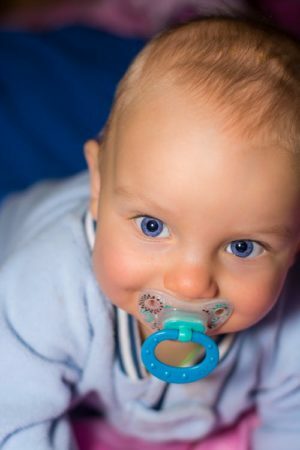 Begin flossing your baby’s teeth as soon as there are two that touch each other. Again, the earlier you start, the easier it will be for your child to adjust. Floss picks can be much easier to manage than long strings of floss, particularly if your child gets nervous and squirms. Make brushing and flossing fun. Let your child pick out a toothbrush with a favorite color, cartoon character, or animal. Brush and floss together so you can demonstrate proper technique. Play upbeat music so your child associates the daily dental routine with positive emotions. Take your child to a pediatric dentist by the age of one. 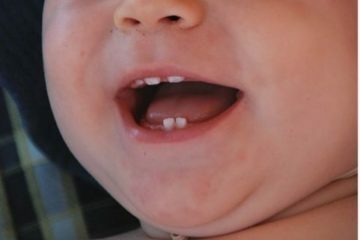 Even if your child doesn’t have any teeth yet, the first visit is important because the dentist can check for early signs of problems, such as baby bottle tooth decay, or early childhood cavities. An early trip to the dentist can also help your child get used to the environment and the people so future visits and treatments won’t seem scary. 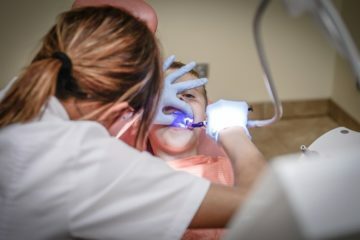 CT Pediatric Dentistry has a team of dentists and hygienists who are specially trained in the unique needs of children. We can help your child feel at ease so that he or she looks forward to visiting the dentist. Contact us today to schedule an appointment.